The seaside village of Calella de Palafrugell in Costa Brava as seen from the gorgeous Hotel Sant Roc. Costa Brava (map), the land of Salvador Dalí, picturesque medieval towns, gorgeous beaches and some of the best cuisine in the world, is a paradise for those seeking sun, sea, culture, history and gastronomy. Any visitor will soon discover the amazing cuisine and wines – there are many people who come here simply to have a sumptuous meal at Celler de Can Roca (often voted as the world’s best restaurant) or any of the other terrific establishments in the region. 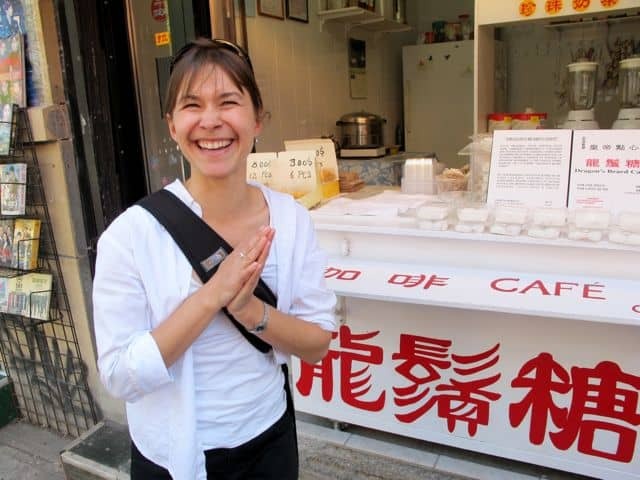 Totally understandable but those calories start piling up very quickly, especially if you’re on the ultimate Euro food trip! Luckily, there are many active things to do in Costa Brava that will help burn off those calories and whip up an appetite for another grand meal. There are many ways to get active in Costa Brava but here are five that I can recommend. I still returned home a few pounds heavier (hehe!) but these activities allowed me to get out and about and experience Costa Brava from different perspectives. A burricleta tour of the Empordá in Costa Brava. 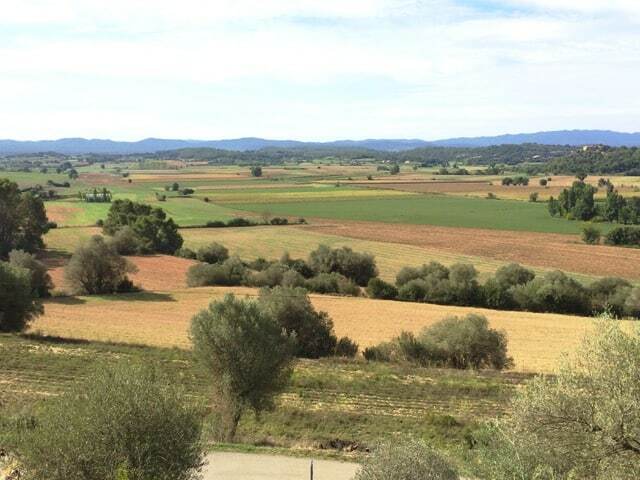 The Empordá is a lovely region with verdant rolling hills, vineyards, orchards and gorgeous medieval towns. Hire an electric bicycle (burricleta) at Ocitania and follow one of their routes through the Empordá. You’ll pass cane fields, vineyards and incredibly picturesque villages. The region is quite flat, which makes for easy cycling, but the electric engine in the bicycle provides a welcome boost for the uphill stretches or over uneven cobblestones in the villages and towns. The bicycle tour took us past beautiful scenery in the Empordá. There are about 200kms of walking paths along the Costa Brava coast. Called the Camins de Ronda, the trails provide visitors a unique means to explore the coast, its little coves and quaint fishing villages. There are many trails to choose from, offering visitors a choice of easy hour-long walks or week-long hikes. Some of the trails can be done as a circular route whilst others can be combined with public transportation. The coastal paths offer lots of stunning coastal scenery and picturesque villages along the way such as Llafranc. One of the signboards along the coast which describes the project and the route. If swimming is more your thing, you have to check out the Vies Braves, sea swimming lanes which hug the coastline. There are a variety of routes to choose from or you can bring your clothes/towel/shoes with you in a waterproof Vies Braves floating bag (which is attached by a string to your hips) and swim from one coastal village to the other. Along the way, you’ll come face-to-face with Costa Brava’s varied marine life in crystal-clear water. The Vies Braves project aims to promote a healthy lifestyle and create awareness about marine life conservation. 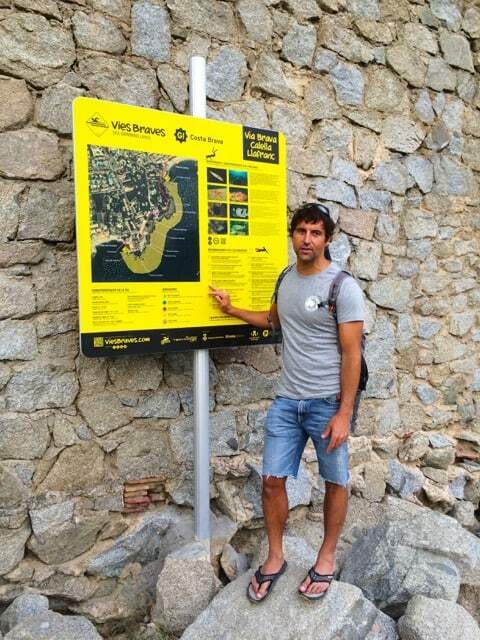 The initiator of Vies Braves, Miquel Sunyer, who is as passionate about open-water swimming as he is about marine conservation. Ok, this might not burn many calories but it sure is an adrenaline-charged activity for the adventurous ones: skydiving! 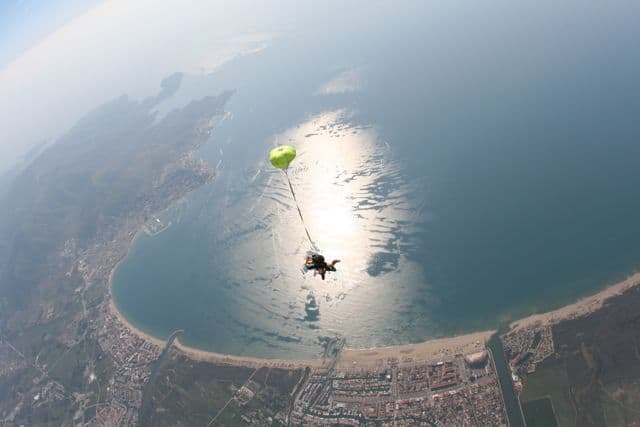 Skydive Empuriabrava organises daily (tandem) skydives with highly-experienced instructors. It’s a wild ride and the views of the Bay of Roses from 14,000ft are simply spectacular. Read about my skydive experience! I’m pretty sure the fear and adrenaline that raced through my body burned up a fair number of calories! Haha! Yours truly diving over the Bay of Roses! 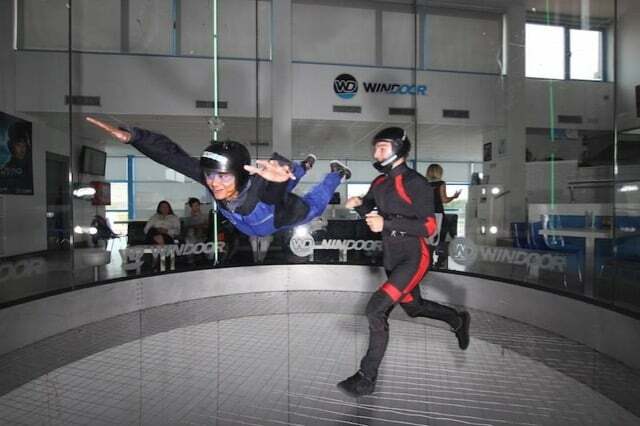 Alternatively, for something closer to earth, head for the Windoor wind tunnel located adjacent to Skydive Empuriabrava. It’s a fun experience floating atop a big blast of air for several minutes and even more fun to watch the instructors perform the craziest stunts in the wind tunnel! Flying around in a wind tunnel at Windoor. Costa Brava’s long coastline offers a multitude of activities for the marine sports fan. Go for a sea kayak adventure, go diving or snorkelling at the Medes Islands (one of the most important marine life reserves in the Western Mediterranean), or go kite-surfing in the Bay of Roses (there are several kite-surfing and stand-up paddling centres located along the bay like Kite Costabrava and Kite Experience). 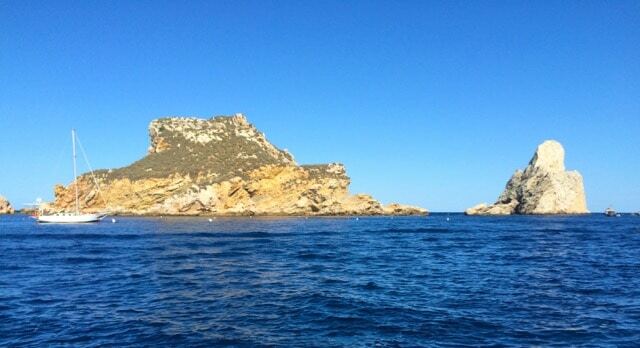 The Medes Islands are one of the most important marine reserves in the Western Mediterranean. The sea around Medes Islands is stunning! Read other Velvet Escape posts on Costa Brava. Check out my favourite medieval towns in Costa Brava.